Georgia Sports Performance has partnered with Pro Impact Sports in helping high school football players get more exposure, training & scholarships to play college football. Great training plus a strong recruiting network is a formula for getting more offers, more exposure and better college football opportunities. Two great companies combining their resources & network is a huge win for GSP clients. Pro Impact Sports is recognized as a regional leader in football recruiting by working one on one with families to evaluate, promote, develop and connect their clients to college coaches. To see our current & past clients, go to Pro Impact clients. Top players attracts college coaches. In addition to Pro Impact inventory of top recruits, Pro Impact also has a 7 on 7 team that is consistently rated in the top 10 programs in the country and sponsored by Adidas. Because of the large number of talented players Pro Impact works with, the company is a first stop by college coaches to discover high school talent. 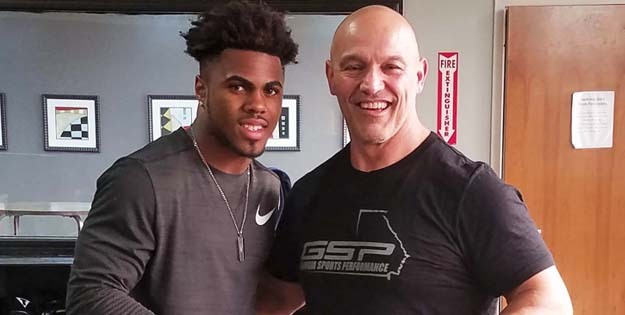 By partnering with Pro Impact, Georgia Sports Performance players can immediately target their efforts and resources to a process known for producing offers and scholarships. For families of Georgia Sports Performance, they now have a valuable resource to promote their athlete, navigate the recruiting choices and move their recruiting to a much higher level than previously offered.